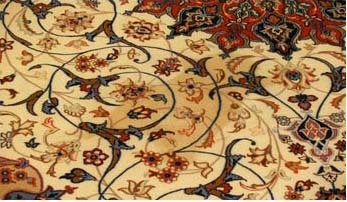 Area rugs require a gentle yet professional touch to keep from damaging the rug. 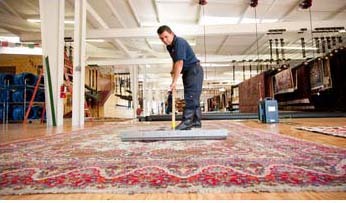 We trained technicians ensure that all rugs are properly cleaned without the risk of being damaged. Find out more about our area rug cleaning services. It's easy to throw away a perfectly good rug that just needs a bit of repair work. Your rug has value, both material and sentimental, don't throw it away! 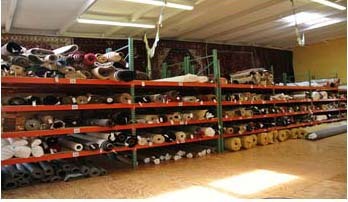 Our technicians have years of experience repairing all types of rugs. Find out if we can revive your rug today. Moth can cause irreversible damage to your rug. The easiest way to prevent this damage is by moth proofing the rug fibers to keep the moth from laying their eggs. 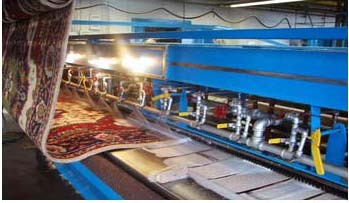 The process is perfectly safe for humans and pets and extends the life of your beautiful rug. Oriental rugs are very delicate, thus all stain removal should be done by a professional cleaner who understands the process and the science behind rug stains. We clean all types of stains including pet urine and food stains. Give us a call today! It's not enough to simply dry a water-damaged rug. Flooded rugs require deep cleaning to get rid of harmful bacteria that will permanently damage your rug. 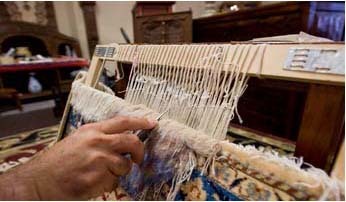 Many people make the mistake of waiting too long to take care of their water damaged rug, and soon realize it may be too late. Have a precious rug that you don't want to collect dust? Bring it to us and we'll store it for you! We understand that sometimes space is an issue and having your rug sit upright in the corner is not an option. Store with us without any contracts! 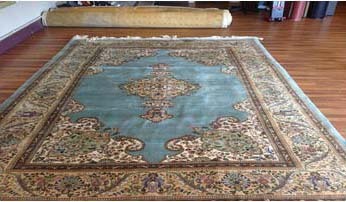 we will re-clean your rug free of charge.